The past couple of months has seen a sudden flurry of work, from outdoor location shoots (in the pouring rain, no less) to Fortune 100 corporate green-screen video (to be public soon), to productions featuring animals and babies (ignoring the advice of W.C. Fields). But the thing I’m most excited about, personally, is the feature film I shot, edited and co-produced, TRIUMPH67, is now off to the major film festivals and virtually complete! We still have a little bit of work to accomplish with sound, music and color, but we are having a work-in-progress screening on October 24th, 2010, at 5:00pm at the Flyway Film Festival in Stockholm and Pepin, Wisconsin. 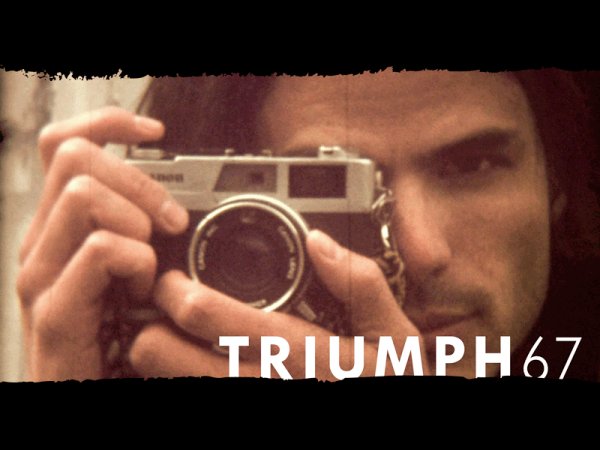 Be the first to see TRIUMPH67 and give us final input so we can finish the film and release it to the world! If you really want to support local Minnesota-made films, join in as a backer of our Kickstarter campaign. We’ve got some good momentum in the first few days and would be honored to have your pledge for TRIUMPH67. And get on our email list and facebook page to ensure you get the latest T67 news first!